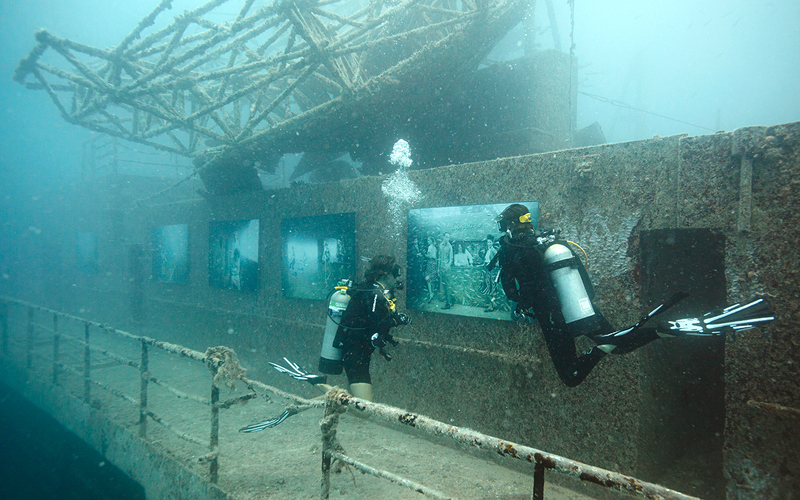 The idea was to bring life back to artificial reefs, and to create a Unique and interesting interaction between earlier decades and today. 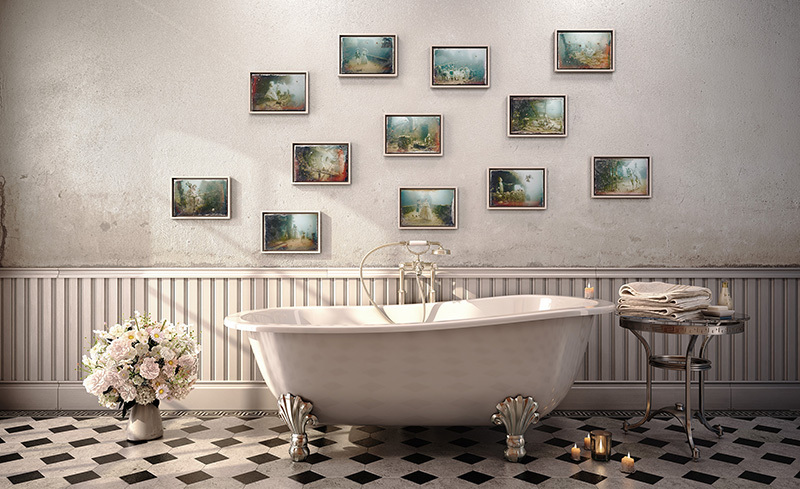 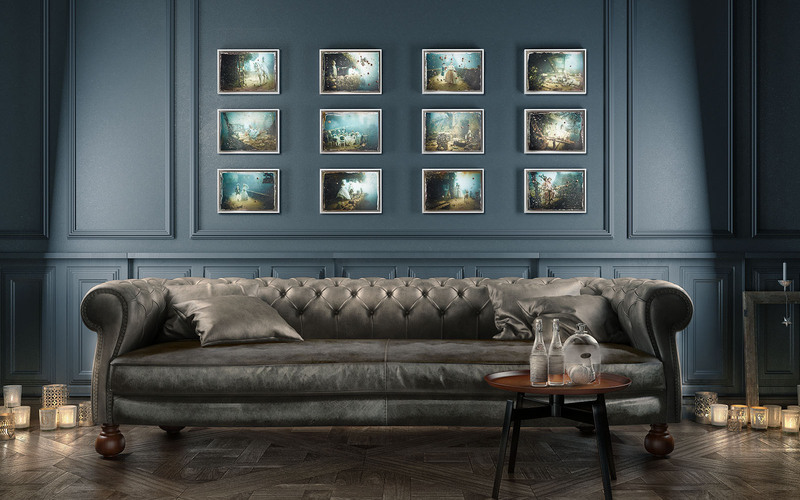 The work actually begins as a composite photograph - a collage of underwater photographs of the submerged ships combined with studio photographs representing people in scenes from everyday life, as well as days gone by. 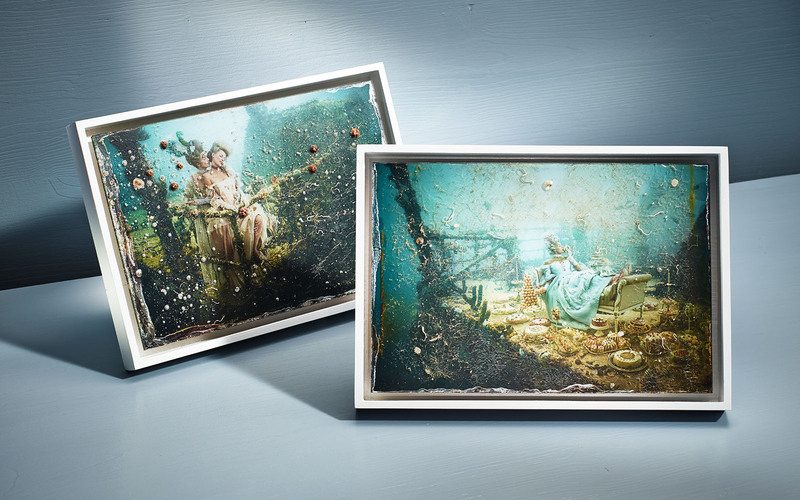 The photographs were covered with plexiglass and then carefully placed into the sea. 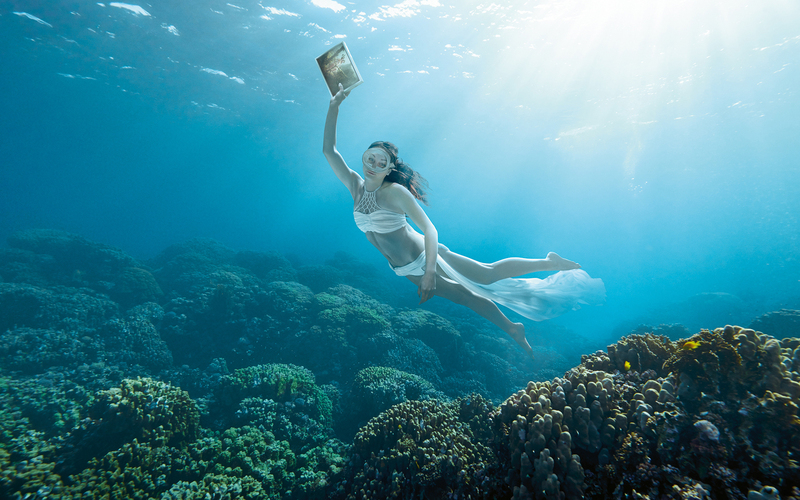 While underwater, the influence of the sea attaches to each image.